Airfare deals are typically only available on limited dates. We recommend that you use Google Flights to find dates to fly, then book through an online travel agency, such as Orbitz, which allows you to cancel flights without penalty by 11pm Eastern Time within one day of booking. Remember: Fares may disappear quickly, so book right away and take advantage of Orbitz’s courtesy cancellation if you’re unable to travel. 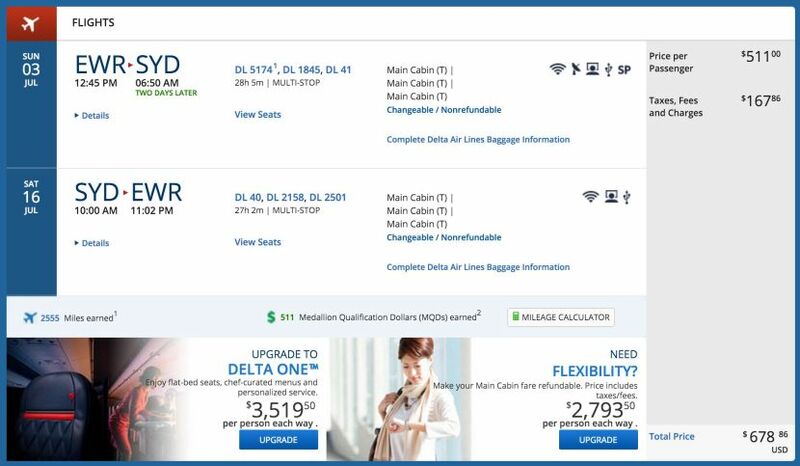 Additionally, keep in mind that discounted partner fares may not earn miles with US-based carriers. Delta has incredibly affordable fares this week from Newark (EWR) to Australia for travel throughout 2016 — airfares start around $632 round-trip for flights to Brisbane (BNE) and $678 round-trip for flights to Sydney (SYD). While most of the flights in these itineraries are operated by Delta, some of the legs between the US and Australia may be on Virgin Australia. It’s also likely you’ll have two connections en route to your destination, usually via Atlanta and Los Angeles, however these are generally short layovers. 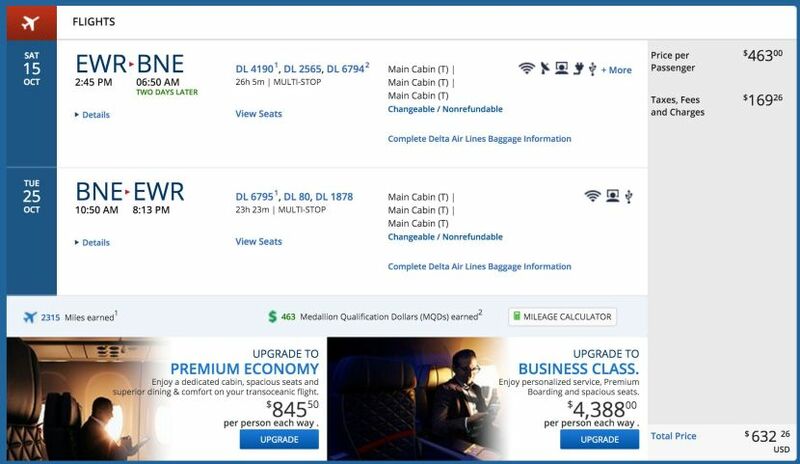 Newark (EWR) to Brisbane (BNE) for $632 on Delta. 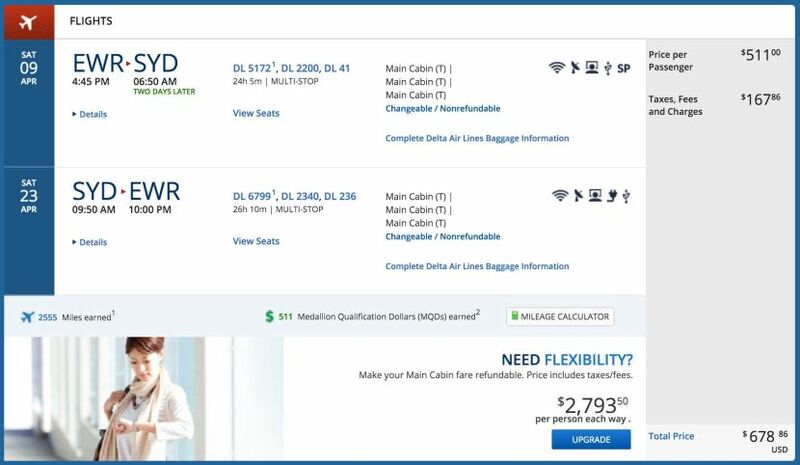 Newark (EWR) to Sydney (SYD) for $679 on Delta.